Djibouti City – Djibouti might be a relatively small country on the Horn of Africa, but it is a significant transit location for migrants, especially from Ethiopia, who are seeking to cross over to Yemen, and ultimately to the Arab Peninsular. 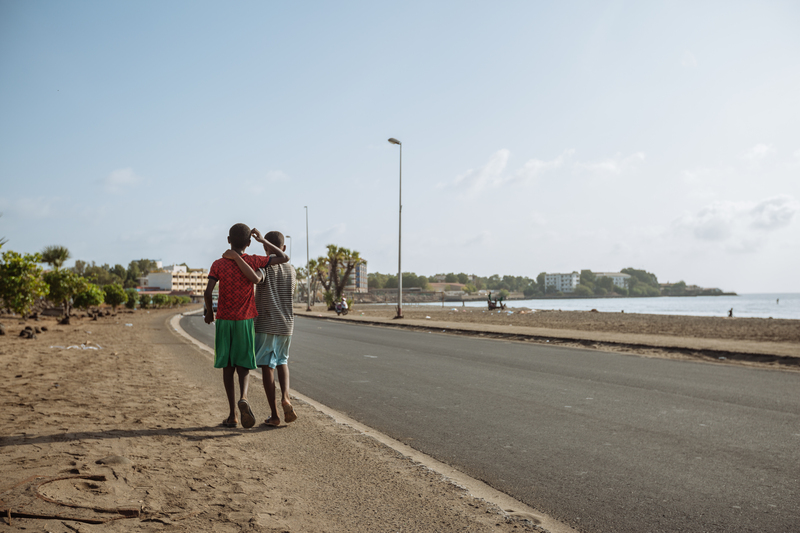 Some of the migrants are children who do not leave the country and end up living on the streets of Djibouti City, the capital. For the government, this is an issue that needs attention. The starting point is the recently-concluded study on street children, conducted by the Ministry of Women and Family Affairs and the Directorate of Statistics and Demographic Studies (DISED), with assistance by the International Organization for Migration. The EU-IOM Joint Initiative facilitates orderly, safe, regular and responsible migration management through the development of rights-based and development-focused procedures and processes on protection and sustainable reintegration. The project, backed by the EU Trust Fund, covers and has been set up in close cooperation with a total of 26 African countries. The purpose of the study on street children is to provide a diagnosis of the living conditions of these children in Djibouti City and to provide recommendations. The study was jointly conducted by a national consultant, Ms. Amina Saïd Chiré, who provided the literature review and the qualitative analysis, and the DISED which took charge of the quantitative survey and analysis. Providing technical support was an international consultant, Mr. Michel Poulain. The purpose of the quantitative survey was to enumerate the street children, to know their characteristics and to identify their priority problems. It was conducted in the urban agglomeration of Djibouti which has the majority of street children in the country. The population covered was children aged 0 to 17 who identified as living on the street. A total of 1,137 children were surveyed, including 633 children aged 0 to 9, including 195 girls (30.8 per cent) and 504 children aged 10 to 17, including 64 girls (12.7 per cent). During the opening ceremony of the study’s validation workshop recently, the Minister of the Interior, Mr. Hassan Omar Mohamed Bourhan, thanked the European Union for supporting the study, and insisted on the need for identifying all street children in Djibouti to better protect them. The Minister of Women and Family Affairs, Mrs. Moumina Houmed Hassan, reaffirmed the Government’s commitment to tackling the issue head on through the implementation of five measures namely: the creation a coordination platform, the reinforcement and development of reception facilities, the establishment of an identification system; the definition of basic minimum service; and the development of a national protection strategy. Head of Delegation of the European Union in Djibouti Ambassador Adam Kulach said the situation of street children is a tragedy that affects everyone. He said the problem will be the focus of the EU’s attention through the implementation of a 2 million Euro project for children in street situations in Djibouti.